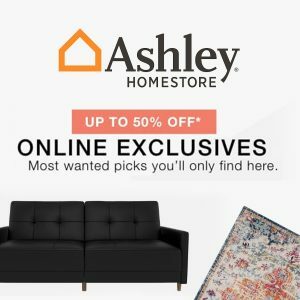 From humble beginnings in Anchorage, Alaska, Ashley HomeStore has become the number 1 furniture and home decor retailer in the United States. Although its focus is mainly on homey traditional, casual, rustic and country styles, you'll find plenty of modern designs as well. Ashley makes all of its own furniture, so you won't find its styles anywhere else!